In this illustrated presentation, historian François Furstenberg will discuss our country's early days as seen through the eyes of five distinguished refugees who fled the French Revolution, settled in Philadelphia, and immersed themselves in the economic and cultural life of the new republic. Professor Furstenberg currently teaches at Johns Hopkins University. 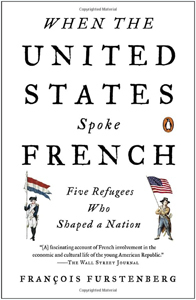 His latest book, When the United States Spoke French: Five Refugees Who Shaped A Nation will be available for purchase and signing by the author. Reception in the Undercroft to follow. N.B. The undercroft is NOT handicapped accessible. $35 members of BAA, $45 non-members. We can't think of a better place to be in April, but if your schedule does not allow a trip to Paris, join us for a sophisticated soirée in a private residence in a legendary Central Park West landmark for the next best thing. 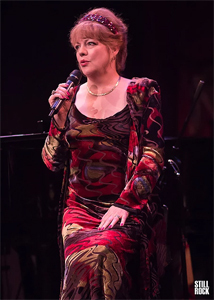 Cabaret luminary KT Sullivan, accompanied by pianist Jon Weber, will guide us on a musical tour of the City of Light, with raconteur David Garrard Lowe providing commentary. Parisian chic attire. Born in Brattleboro, Vermont, Richard Morris Hunt was the first American to attend the École des Beaux-Arts in Paris. 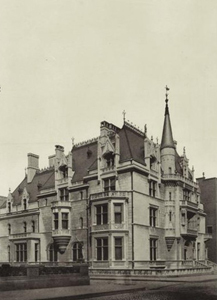 Returning to the US in 1855, with the conviction that the École's classical style was ideal for this country, he would design mansions for the Vanderbilts and Astors in both New York and Newport. He was appointed head of architectural design for the 1893 Chicago World's Fair and would go on to design the base of the Statue of Liberty. David Garrard Lowe will relate his extraordinary life and career in a lavishly illustrated talk. Reception to follow. In this illustrated presentation, author and journalist Michael Riedel will talk about Broadway and its importance to New York City, from the development of Times Square at the start of the 20th century to the saving of Times Square at the end of the 20th century. New York has one thing going for it that no other city in the world has — Broadway. Their fortunes are forever intertwined. Michael Riedel is the cohost of Len Berman and Michael Riedel in the Morning on 710 WOR. 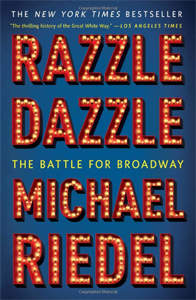 He is also the theater columnist for The New York Post and the author of the New York Times bestseller Razzle Dazzle: The Battle for Broadway, which will be available for purchase and signing by the author. Reception in the Undercroft to follow. Reservations and payment are required in advance for all programs. Please make checks payable to The Beaux Arts Alliance and send to The Beaux Arts Alliance, 119 East 74th Street, New York, NY 10021.